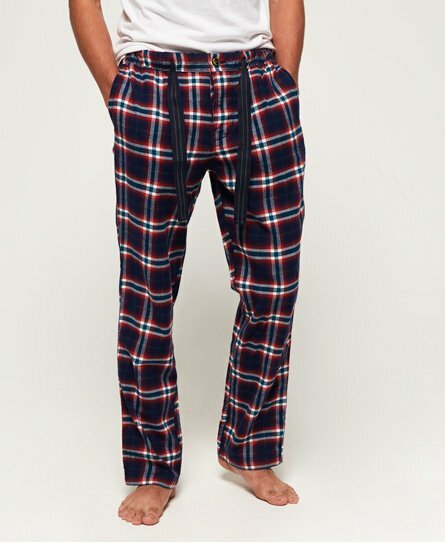 Superdry men’s woven lounge pants. Lounge in style this season with the woven lounge pants, featuring a drawstring waist with button fastening, two front pockets and one back pocket. Completed with a Superdry logo tab on the back pocket, these lounge pants are perfect for throwing on after work and lazing around in at the weekend.